Complete custom secure user system. 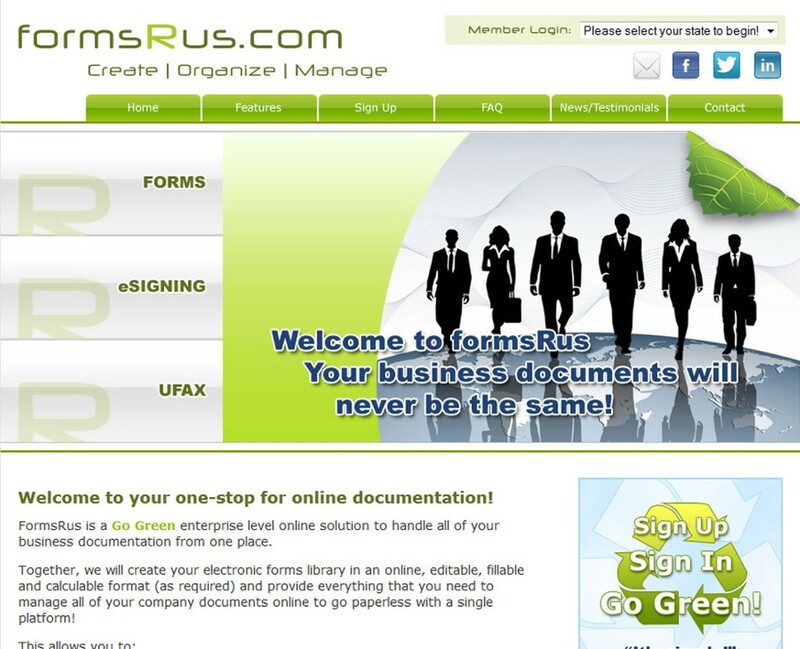 Designed to allow the end user to login and select forms from a depository and open/edit those forms. E-mailing, Digital signatures, Fax services, are all just some of the custom options available to the user. Reactive Mobile Website Design. Extensive custom database integration and design. 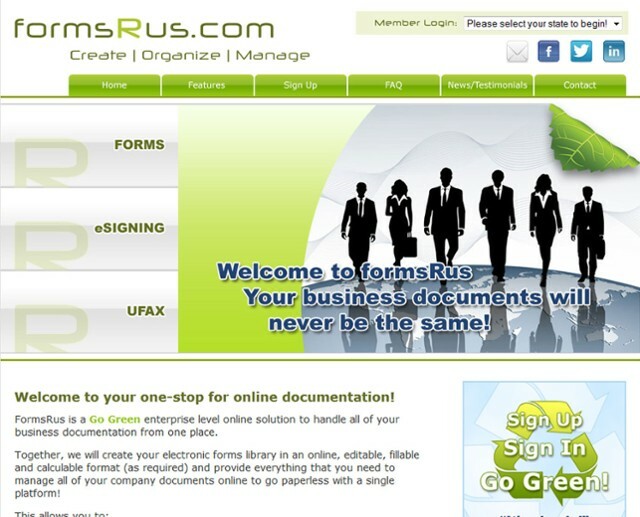 FormsRus.com specializes in online-document storage.